"Not unlike Ricky's music, the list of artists lined up to honor him on May 15 is eclectic and award-winning," said Opry Vice President and General Manager Pete Fisher. "It's going to be a night of great musicianship as we celebrate all that Ricky means to the Opry family." From Skaggs' beginnings in bluegrass, he has gone on to put his own stamp on the mainstream country format, resulting in twelve #1 hits, eight Academy of Country Music Awards and eight Country Music Association Awards, including CMA Entertainer of the Year in 1985. Skaggs started his own record label, Skaggs Family Records, in 1997 and has since released 12 consecutive Grammy-nominated albums. His latest project, Country Hits Bluegrass Style, is exactly what its title suggests: Skaggs' classic country hits offered up in fresh, new bluegrass form. With a career spanning over 50 years in music, he is currently working on an autobiography, has been selected as a 2012 recipient of the ACM Cliffie Stone Pioneer Award and is to be inducted into the Gospel Music Association's Hall of Fame later this year, all while continuing to record and tour with his band Kentucky Thunder as one of music's most sought after live performers. 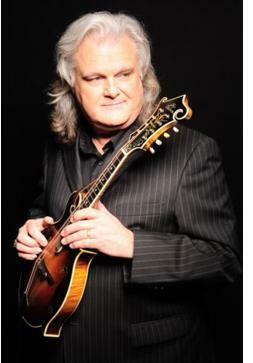 Ricky Skaggs' album, Mosaic, is a return to a full band sound that mixes elements of Country music with Beatles-esque melody and lyrics that speak to Skaggs' faith, making "music that is in my head and in my heart," as Ricky says. It was co-produced by Grammy winning songwriter/producer Gordon Kennedy. In 2010, Mosaic was nominated for two GRAMMY's in Best Pop/Contemporary Gospel Album & Best Gospel Song categories (for "Return to Sender").